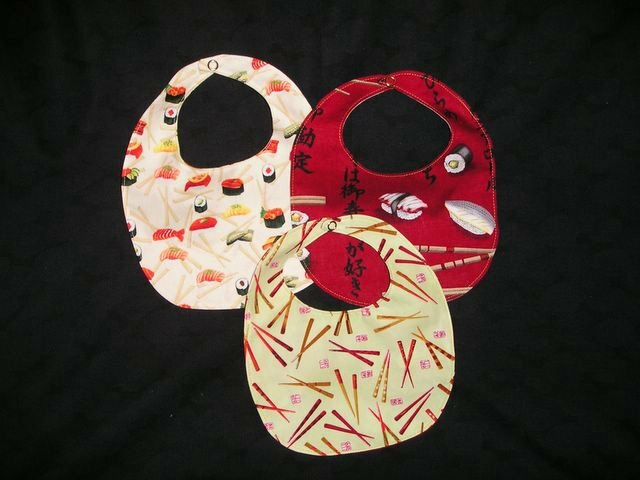 For the baby who likes dinner with an eastern influence, sushi bibs are here! These are all shown in size small, but larger bibs are available! Also coming soon- matching "oops" cloths.